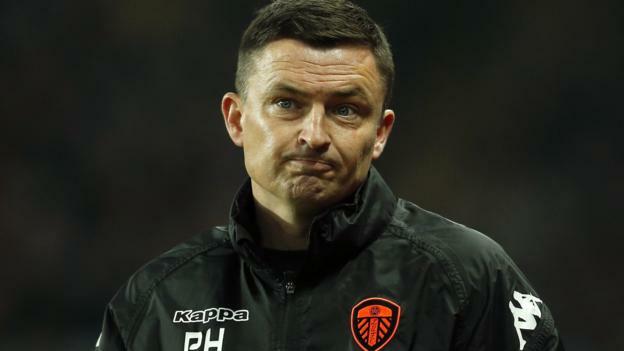 Former Barnsley and Leeds United manager Paul Heckingbottom has been appointed Hibernian’s new head coach. The 41-year-old Englishman has agreed a three-and-a-half-year contract and will be assisted by former Scotland international Robbie Stockdale. He succeeds Neil Lennon, who left the Scottish Premiership club last month. “There is so much potential here and the club has everything going for it; I will give everything I have to be a success,” said Heckingbottom. Heckingbottom was sacked by Leeds in June after only four months in charge, his side having finished 13th in the English Championship. He had joined from Barnsley, who he led to promotion from League One and the Football League Trophy. The former defender with Darlington, Norwich City, Bradford City, Sheffield Wednesday, Barnsley and Mansfield Town, joined Barnsley’s backroom staff after completing a degree in sports coaching. After initially coaching the club’s development squad, he had two stints as caretaker manager before signing a permanent contract in 2016. He agreed a new deal in February 2018 but joined Leeds just a few days later. His tenure at Elland Road lasted for 16 games. “Paul made a really positive impression on us from our first meeting with him,” said Easter Road chief executive Leeann Dempster. “His work at Barnsley speaks for itself, where he was able to combine the kind of dynamic, attacking football our own fans appreciate with the development of some talented young players.